A battle is being fought within corporations. Shareholders want managers to make their shares as valuable as possible, managers want shareholders to leave them alone, and the board of directors is caught in the middle. 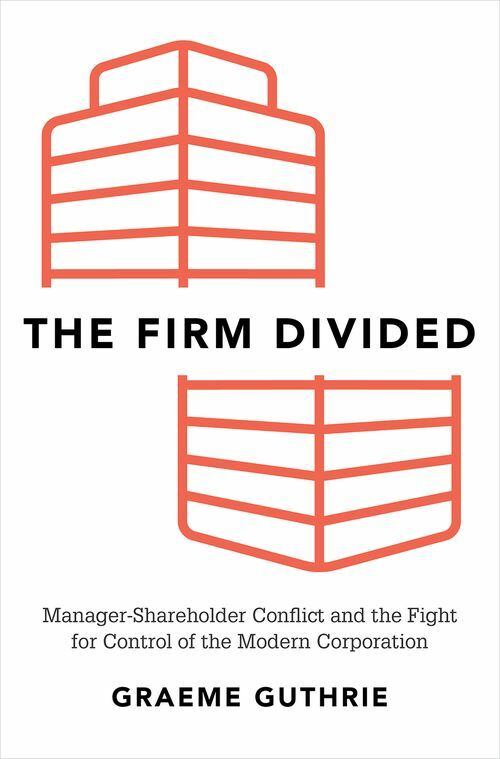 The Firm Divided shows how strong boards persuade managers to do what's best for shareholders-and why weak boards don't. Graeme Guthrie blends the stories of particular firms and individuals with the insights of scholarly research, enhancing understanding of how seemingly separate events are consequences of the separation of ownership and control, the ultimate cause of manager-shareholder conflict. Boards of directors can affect the outcome of this conflict by monitoring managers, providing incentives for managers to work in shareholders' best interests, delegating monitoring to outside parties, and influencing the effectiveness of the market for corporate control. How directors do this depends on how they weigh their fiduciary duty to shareholders against the close ties that bind them to senior executives. The Firm Divided provides conceptual insight, underpinned by research into corporate governance, into board-manager interactions. It shows how tools that can benefit shareholders when used by strong boards can actually harm shareholders when used by weak boards. Guthrie provides a 360 degree view of firms, exploring the ways in which each player pursues their own goals, with examples from a range of firms in diverse industries. 2 Whose side are you on? Graeme Guthrie is a professor in the School of Economics and Finance at Victoria University of Wellington, New Zealand. His research has appeared in the top journals on finance and economics, and as a consultant he has provided advice on a wide variety of issues in relation to agriculture, electricity, gas, real estate, and telecommunications, much of it using real options analysis. He is the author of Real Options in Theory and Practice (Oxford University Press).